Raspberries can grow in gardens or in containers. There are two types of raspberry plants. Summer fruiting raspberries that produce fruits between June and August and autumn fruiting raspberries which will fruit between August and October. Raspberries can tolerate part shade but will thrive best when planted in a sheltered position with a lot of sun. In full sun you will get many more fruits. The best time for planting raspberries is the whole period between October and March if the soil is not frozen. Raspberries can be planted in rows or containers. Every row should be about 6 feet apart. Put each plant around 20 inches apart. If possible it is highly recommended to grow your raspberries from north to south so that they won’t shade each other. The best soil for raspberries is the one that retains moist. They will thrive better in a fertile soil which is slightly acidic and well-drained but avoid shallow chalky ones. The best way is if you dig a whole before planting and mix well-rotted organic matter into the soil. Best pH for raspberry growing is between 6.0 and 6.5. After you plant your raspberries they need to be watered thoroughly. Keep them well watered during the whole growing season and also when there is a dry period. Prune your Raspberries on a regular basis once per year. You will have healthier crops. Because of the thorns use gardening gloves for protection. Leave as little stubs as possible and be sure to cut all the old, damaged or diseased canes at the base. You can also remove some of the canes during summer if you notice that they are too overcrowded. You can add fertilizer before planting. For best result feed with a liquid general-purpose fertiliser on a monthly basis during raspberry growing season. It is even better if you use well-rotted organic matter. If the growth is weak add sulphate of ammonia. Never fertilize in the fall. Keep removing weeds regularly. Raspberries produce a lot of ‘suckers’ along their root system. Those can come up relatively far from the main plant. Dug them up and pull them out. When the plants begin fruiting it’s advisable to cover them with netting in order to protect your crop by keeping birds away. When the raspberries come off the plant easily they are ready for harvesting. They don’t last long once harvested. The best way to store them is freezing. You can use trays. When they freeze you can move them into bags. After harvesting cut back the canes to a ground level. 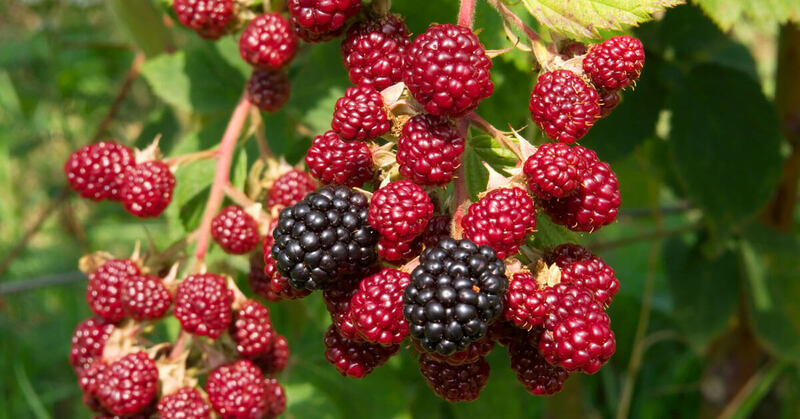 Growing raspberries in containers is especially recommended if you want to avoid their overgrowth. The size should be around 24 inches in diameter. It is better if you use soil based compost for planting. Make sure that the compost won’t dry out. After three years you should plant them in the ground. You can choose wire fence for your raspberries. Select the strongest young canes, around seven per plant. Tie them about three inches apart along the wire supports. You can also keep fruiting canes on one side and new ones on the other side of the wire. Then could the old canes be pruned way easier after harvesting.